Did you know that 'violent affection syndrome' (VAS for short) is actually a real thing? We kid you not! Have you ever lost all control upon seeing a baby with chubby cheeks pushed in a stroller or a chihuahua puppy so tiny she fits inside the pocket of your jeans? If an uncontrollable urge to squeeze the baby or puppy til their eyeballs pop out takes hold, congratulations— you have violent affection syndrome! No need to worry, it's not life-threatening and it doesn't even mean you're a violent savage; it means you're really, really into adorable things and we can relate. We love cute things too! 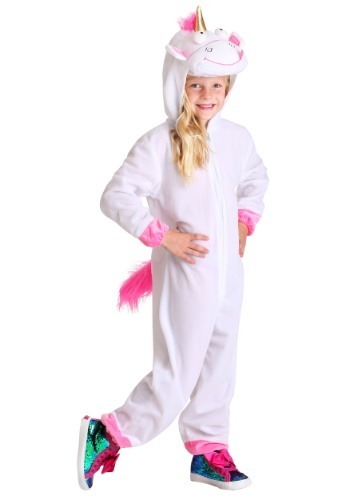 Instead of curing VAS, accept and nurture your condition with a girl's Minions Fluffy costume. You'll look so cute, you'll want to squeeze yourself silly. The costume comes with everything needed for a full-fluffy-transformation, but we warn you to keep your eye out for Gru and Agnes. If they see your fluff-tastic self roaming around, they just may try capturing you and you can't blame them— it's easy losing control in the presence of cuteness! 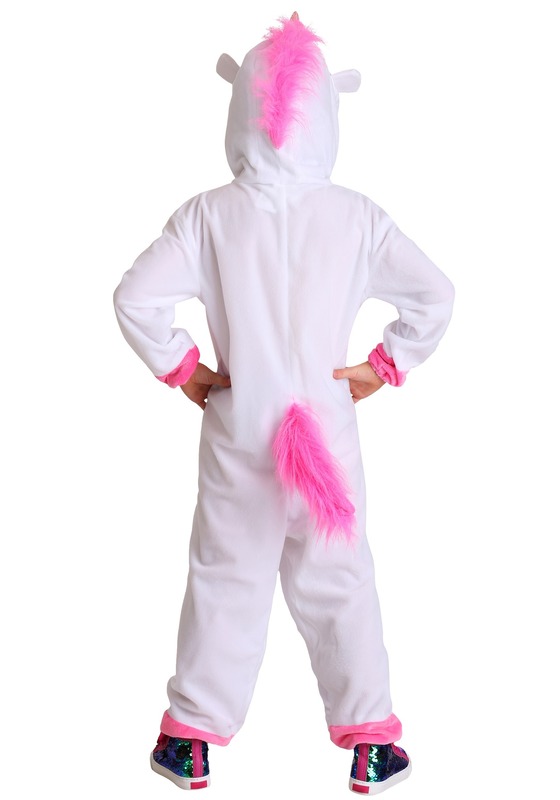 The Fluffy costume for girls is an officially licensed Minions costume and comes with everything you need for a full-blown transformation into a super-soft unicorn plush. 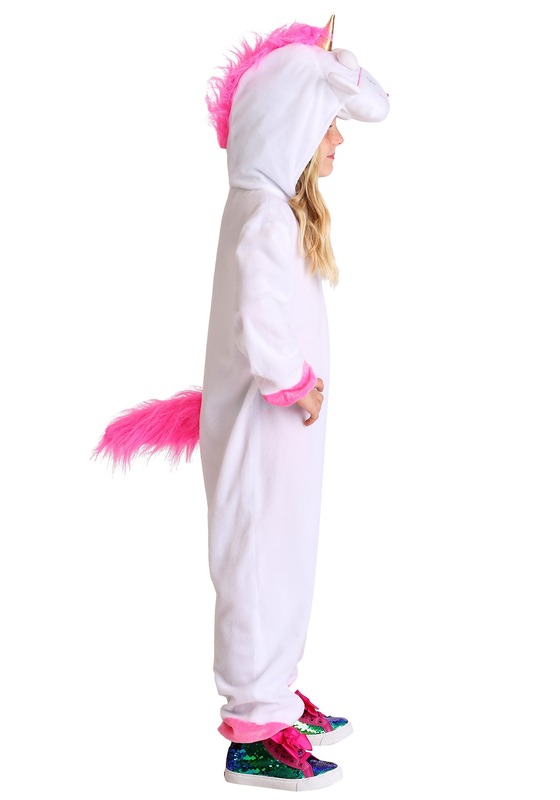 The jumpsuit fastens via a full-length zipper in the front and features an attached tail, an attached character hood, and comfortable sleeve and pant cuffs. It's the perfect way to look like a squishy mystical creature but be warned, it can possibly trigger others struggling with violent affection syndrome. Preparing for plenty of intense hugs might be a good idea! Are you and your friends devoted Minion lovers? Create a fun group costume devoted to the Disney/Pixar movie by suggesting your friends dress up as Minion Bob and Minion Dave!